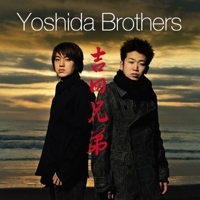 The Yoshida Brothers were born and bred in Noboribetsu, Hokkaido. Each picked up the shamisen at the tender age of five, and began studying Tsugaru shamisen under Takashi Sasaki I in 1990. After sweeping prizes at national Tsugaru shamisen conventions, the brothers made their major debut in 1999. The debut album sold over 100,000 copies, which is an extraordinary figure for a traditional folk music release.